Smartphones have reached yet another level of innovation. There was a time when the usual cell phone was a wonder. It was cherished for some time but the changes at some point started coming rapidly. Phones could only allow the user to answer calls and receive text messages. At this stage the phones could not receive picture messages and browsing with phones was not in sight. In a relatively short space of time, smartphones have undergone so many changes. Every day, a new feature of the smartphone is introduced. The latest and most interesting innovation with respect to the smartphone is its ability to bend without breaking. Researchers at the human media lab at Queen’s university have produced a wonderful smartphone which they have named ReFlex. ReFlex is the world’s first wireless and flexible smartphone. There have been efforts to produce a flexible smartphones but ReFlex is a wonder. ReFlex does not only bend, ReFlex uses its bend feature to send commands or relay information. What ReFlex does is to allow a sort of bend input thereby passing information using the bend feature. According to Dr. Roel Vertegaal, the bend feature creates a new way for users to interact with their smartphones. Using a book app as an example, to flip through pages from right to left, the user simply bends the smartphone down on the right. To make the pages open faster, the user simply bends the phone more in the desired direction. 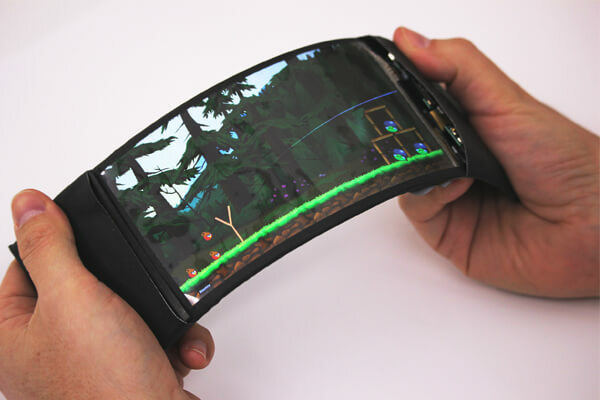 This flexible phone makes use of bend sensors to provide this amazing feature. The bend sensors sense the bending force and relay the desired information to the app in use as input. What is ReFlex made of? The specs of ReFlex are definitely high class [at the time this post was made]. Reflex makes use of a high definition 720p LG Display; Flexible organic light-emitting diode (OLED) touch screen. The world’s most flexible smartphone runs on Android 4.4 “KitKat” board, mounted to the side of the display. The other important feature is the bend sensor mentioned in the previous paragraph. When will ReFlex be made available to consumers? Dr. Roel Vertegaal envisions ReFlex in the hands of consumers within five years. Angry Birds is one of the apps that is used in the Reflex video and we hope to see this bend feature used in so many other games. The first game that strikes the mind must be a racing game. And in case you were wondering, ReFlex is not just for games and apps. ReFlex can also be used as a smartphone to make and receive calls, send text messages, you know, whatever a smartphone can be used for is all available on ReFlex.